The American Red Cross is recruiting disaster services volunteers in the Pahoa Area. 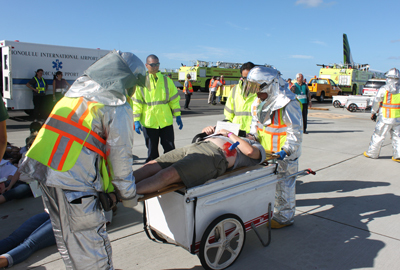 All Disaster Services training is provided free of charge. The first step for all new disaster volunteers is to fill out a Volunteer Application Form then take a series of basic disaster classes. After submitting your application, follow the steps in blue. When we receive your application, we will contact you about the classes listed below and sign you up if you are able to attend. For more information about volunteering or other opportunities at the American Red Cross, click here. If you have questions, please contact Michele Liberty at Michele.Liberty@redcross.org or at 808-854-4283. We would suggest that you bring a lunch so that we can start each session on time. Evacuation shelters on Oahu to open at 3:00 p.m.
10 tropical storm evacuation shelters will open on Oahu at 3:00 p.m. this afternoon. Residents who feel that their home or place of residence may not be safe can utilize one of these locations as a refuge from severe weather and high surf. These shelters, operated by the American Red Cross, provide only emergency refuge. You must bring all of your supplies with you including food, water, other emergency needs as well as bedding or a cot to sleep on. For the safety and security of evacuees Red Cross shelters do not allow smoking, guns, drugs, alcohol or other hazardous items. Those on medication should bring a 7-10 day supply of medication. Diabetics should bring their medication and glucometers. Those with respiratory issues should bring inhalers and nebulizers. As with all other evacuees, those on special diets should bring their own food. In addition these shelters will accommodate pets. Pet owners must provide a solid sided pet carrier or cage for each pet, food, water and sanitation supplies. In addition owners will be expected to assist in the care of their pets. The following are the Oahu evacuation shelters that will open at 3:00 p.m.
Find out more information and the locations of classes as well as register at www.redcross.org. Be prepared if your pet gets injured! June 1 marks the start of hurricane season for Hawaii, and it’s a good time to get ready. As bad as it was in Japan, many lives were saved because the Japanese government and community made efforts to be ready. We need to do the same in Hawaii. To be ready when the time comes, first, “Make a Plan,” which includes both an evacuation and communications plan in the event you become separated. Second, “Get a Disaster Supplies Kit.” Store enough supplies for least 5 to 7 days. Also, “Be Informed and Get Trained.” For example, learn First Aid and CPR. The Red Cross is launching a Ready Rating website that allows businesses and schools to self-test their disaster readiness and gives them tools to improve their score. For more information on how to prepare your business, your school, your home, and your family for a natural disaster, please visit HawaiiRedCross.org. Or visit our website at hawaii.gov/ltgov. Disaster Services worker Court Ogilvie (in Washington, DC – our headquarters) talks about the preparations we make for any impending storm and the specific challenges a possible hurricane in Hawaii brings.